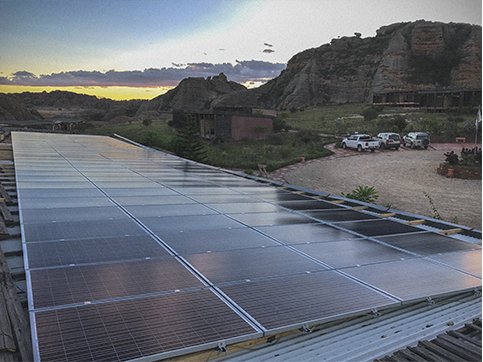 Our solar modules Eurener PEPV 270W supply off-grid systems in an ecotourism hotel located in the National Park of Isalo, in the Southwest of Madagascar. The philosophy of the “Hotel Isalo Rock Lodge” is to respect the ecosystem of the region and using available natural recourses, create a sustainable tourism, while protecting their Heritage. 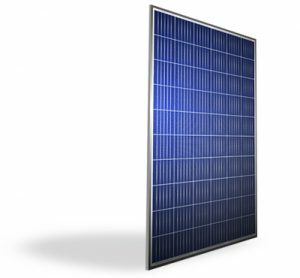 For this purpose, Eurener PEPV 270w modules were used to create an off-grid solar installation. The produced energy supplies 60 rooms; one reception building with a bar, a kitchen, a living room and an office; one swimming pool, solarium and wellness area; and another building with a pumping and a water filtration stations. Thanks to the solar energy, the hotel can host up to 120 people with all the comforts. Even when night falls in “Isalo Rock Lodge”, the hotel is still in its high capacity levels as all the energy surplus produced during the daylight hours is stored in batteries, what makes this resort 24h autonomous. Preserving the human and natural heritage of each region should be a duty of everyone who inhabits it. Thanks to the solar energy we can help achieving it, cooperating with the sustainable tourism, because comfort and nature preservation are not incompatible.